Many would say that summer ends after Labor Day weekend. However, 90 degree temps keep appearing in NY so it still feels like summer to us. We can only imagine that the hot temperatures can’t compare to competing on Chopped Grill Masters, though. Last month, Angie Mar, Executive Chef at The Beatrice Inn, not only competed but won the $50,000 prize and coveted title, Chopped Champion. 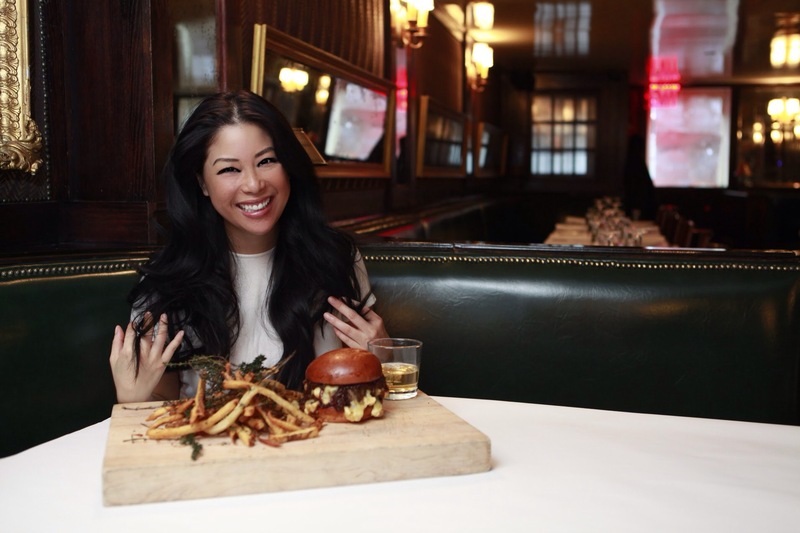 Angie Mar, Executive Chef at The Beatrice Inn. Photo credit to Ryan John Lee. FP: Tell us about your experience on Chopped Grill Masters. What was the most surprising part of the experience? AM: I had a great experience working on Chopped Grill Masters. The most surprising thing was that I fell in love with all the people I that I competed against and that worked on the show. It was such a great group to be surrounded by. FP: How did you get your start cooking and barbecuing? AM: I don’t barbecue. I think that is a huge misconception. Chopped Grill Masters isn’t a barbecuing competition, otherwise I’d never have competed or won! It’s a grilling competition. Grilling and barbecuing are completely different things, and it’s funny that people don’t know how to differentiate the two. I started cooking about six years ago and have been really fortunate to have had great mentors. I specialize in whole animal cooking, and come from a kitchen background that works with wood fire grills and ovens. There’s something so primal to me about that style of cooking. I just fell in love with it. FP: Thank you for the clarification between grilling and barbecuing. When you’re at home, what are some of your favorite meals to cook for yourself? AM: Beef. All day, breakfast, lunch and dinner. FP: Where are some of your favorite places to eat in NYC? AM: Is it too easy to say the Beatrice Inn? When I’m not at my restaurant, you’ll typically find me at Carbone or Pearl Oyster Bar. AM: If we’ve had a long service in the kitchen and my blood sugar is crashing, you can often find me in the dessert station dipping French fries in ice cream! FP: French fries and ice cream? Love the sweet/savory combo! Name 3 chefs you would enjoy cooking in the kitchen with and tell us why. AM: Nigel Slater, he is a man after my own heart. His writing and cooking I find to be inspirational. My sous chefs, Joanna Garcia and Lucero Ramales. I’m so fortunate to have them as the pillars that hold my kitchen together. AM: Sevilla, Spain. It’s one of my favorite places in the world and the place that I really found myself. FP: Spain is an inspiring country for sure! If you weren’t a chef, what would you be doing? What are some of your non-cooking interests and hobbies? AM: If I wasn’t cooking, I’d probably be doing something that bridges the gap between fashion and food. Outside of the kitchen I’m always enamored with fashion, especially menswear. But honestly, I can’t imagine life any other way. FP: Thank you so much for your time. We wish you continued success!